(NaturalNews) "The $1 trillion industrial food system is the biggest drug dealer around, responsible for contributing to tens of millions of deaths every year and siphoning trillions of dollars from our global economy through the loss of human and natural capital," asserted Dr. Mark Hyman in the article "Sweet poison: How sugar, not cocaine, is one of the most addictive and dangerous substances." Hyman has plenty of experience in the field, with 20 years as a practicing physician. He's also chairman of the Institute for Functional Medicine, as well as founder and director of the Ultra Wellness Center in Massachusetts. Hyman isn't simply on a campaign against sugar; he's on a mission to rein in our current health crisis of obesity, autoimmune disease, high blood pressure, inflammation, hormonal imbalance, depression, anxiety and sleep disorders. A monumental task, since he considers the sweet stuff to be as powerfully addictive as alcohol, cocaine or even heroin. Secreted within a majority of processed and packaged food, sugar is a hidden health destroyer. Americans alone consume a staggering 152 pounds each year. According to Hyman, it's eight times more addictive than cocaine. 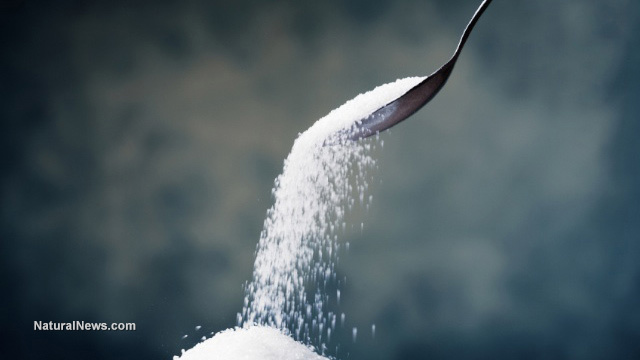 As a nation, we are sugar addicts -- true junkies in the clutches of an industrial food system. And it doesn't matter the type -- white, brown or high-fructose corn syrup -- it all contributes to cancer, heart disease, diabetes and obesity. Research indicates that when an overabundance of sugar is consumed, the liver converts it to fat, which can lead to plaque in the arteries and tumor growth. As it turns out, certain tumors have insulin receptors that feed on glucose. Since the 1970s, food manufacturers began stripping products of fat because it was believed to be unhealthy. But the food turned tasteless, so sugar was the go-to replacement. Now, the substance is in everything from Starbucks coffee drinks to salad dressings and bread. Hyman believes that we "need a big solution that reaches deep into what is offered in our supermarkets, restaurants, schools and workplaces[.] We need a solution that addresses the policy roots in agriculture, food marketing, dietary recommendations and the way doctors are trained to diagnose and treat patients." But the first step is to take responsibility for our own health. And one way to do that is to detox from sugar. Wheat and grains, as both are inflammatory and trigger hunger and craving. Stop drinking "liquid death," otherwise known as sugary drinks and soda, which drive up insulin and create belly fat. Dr. Hyman personally knows of one patient who dropped 75 pounds simply by removing soda from their diet. Ditch convenience foods, since they are designed to be addictive with high flavor and sugar. Finally, avoid dairy -- it's another pro-inflammatory edible that promotes weight gain. If you are curious about what you can eat to detox from sugar, improve health and shed excess weight, have a look at this handy shopping guide developed by Dr. Hyman.